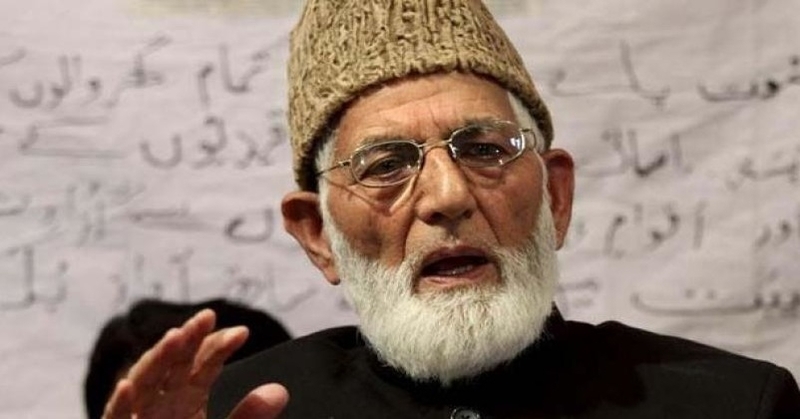 In a major crackdown on separatists of Kashmir, Income Tax Department seized the property of separatist leader Syed Ali Shah Geelani in Delhi’s Malviya Nagar for failing to pay the taxes. The Income Tax Department order reads, “Whereas you have failed to pay the sum of Rs. 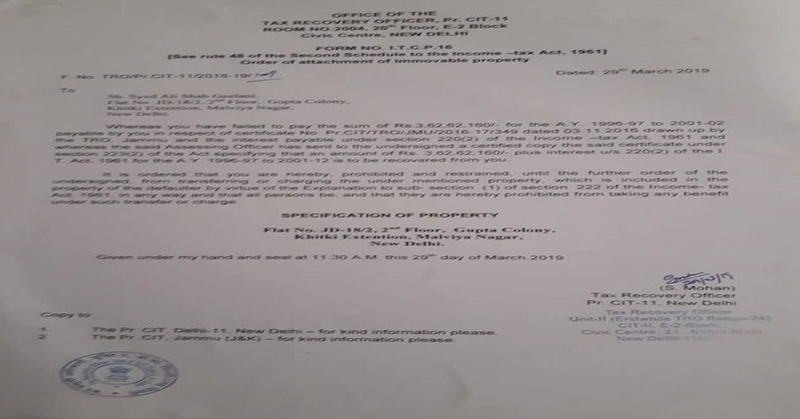 3,62,160 under the income tax act… it is ordered that you are hereby, prohibited and restrained, until the further order of the undersigned, from transferring or charging the mentioned property”. The order was passed by the Income Tax Department on March 29 to restrain Geelani from transferring, charging mentioned property. The separatist leader did not pay the sum of 3,62, 62, 160 for the AY 1996-97 to 2001-02’.